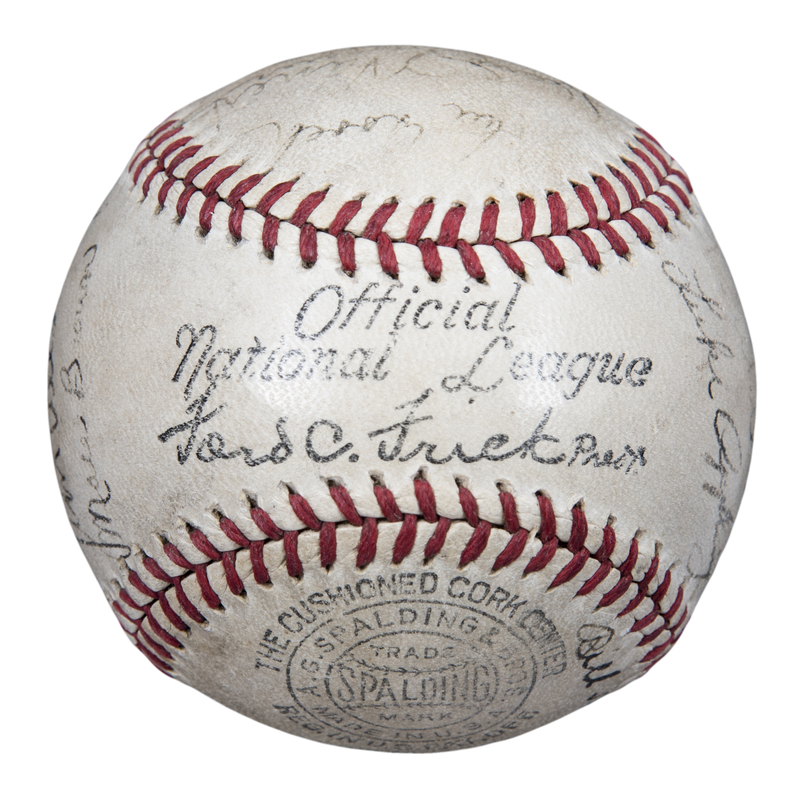 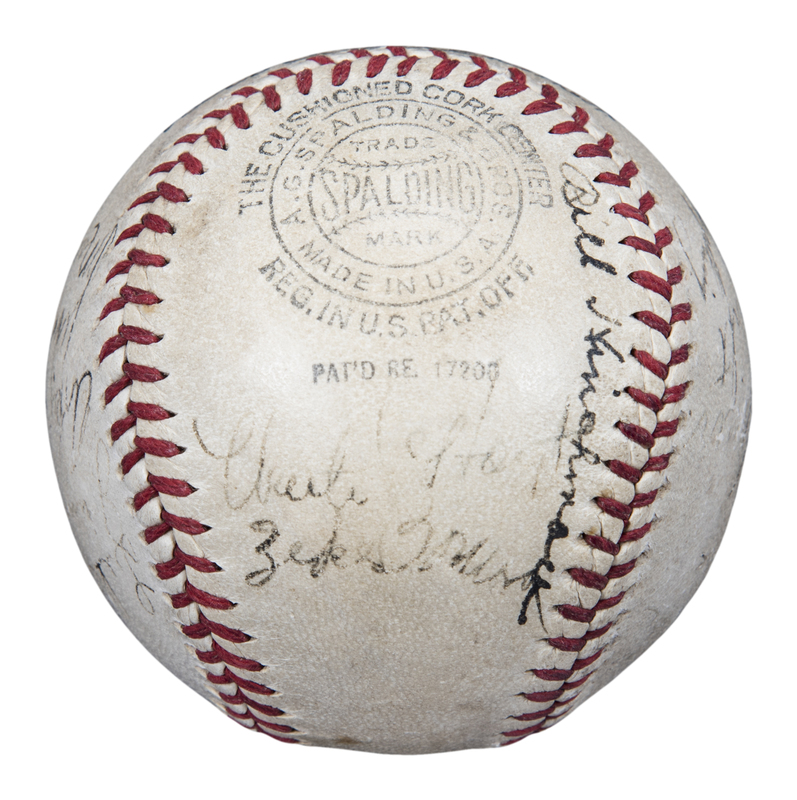 Offered here is an Official National League Ford C. Frick baseball that has been signed by 19 players combining from the 1937 Pittsburgh Pirates and Chicago White Sox. 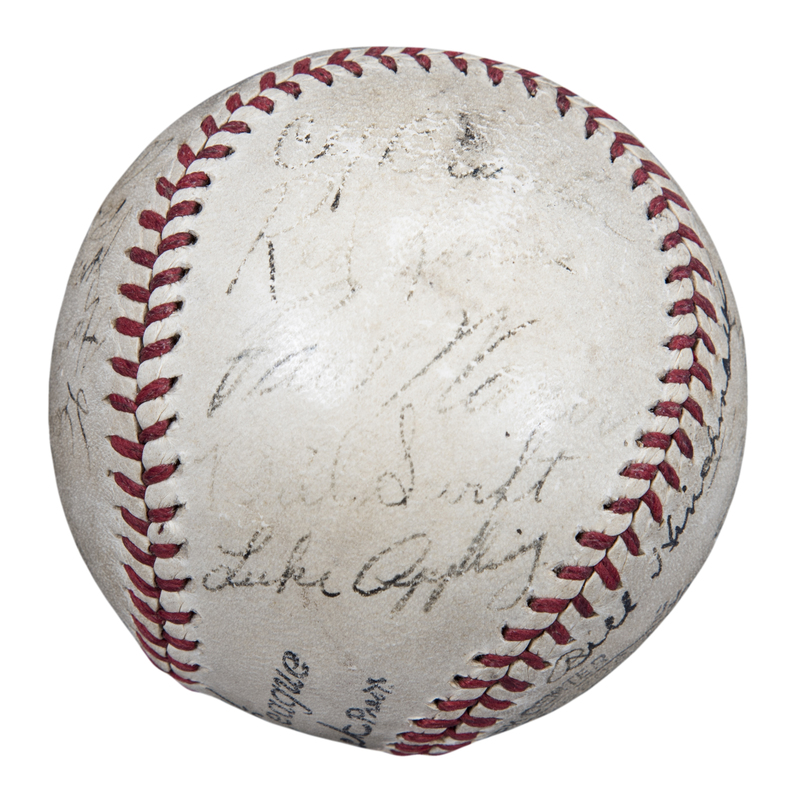 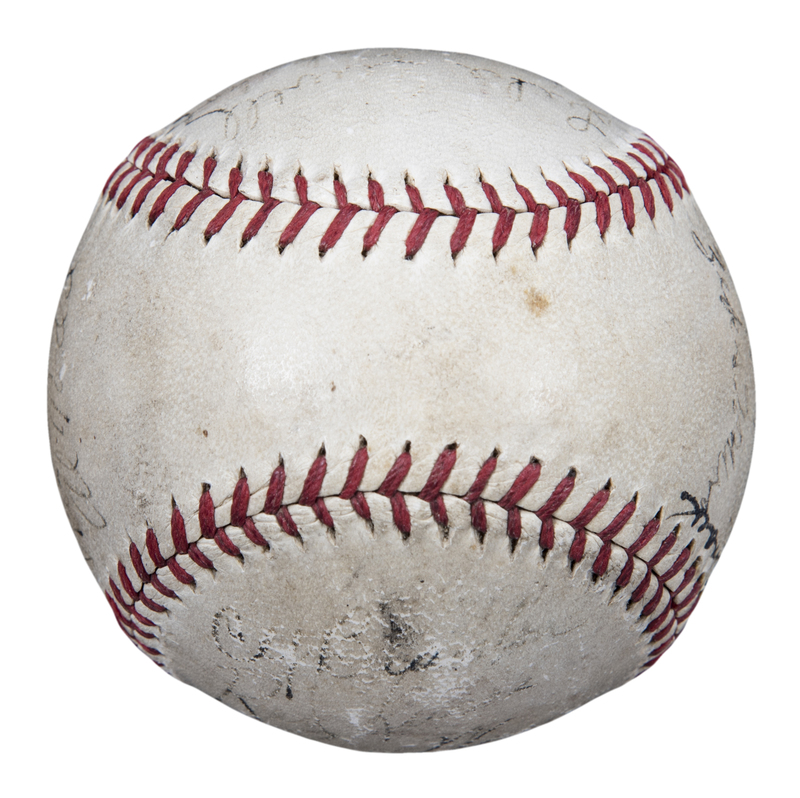 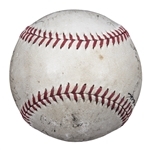 There are seven Hall of Famers represented on this baseball and include Waite Hoyt, Lloyd Waner, Paul Waner, Honus Wagner, Pie Traynor and Arky Vaughan of the Pirates and Luke Appling of the White Sox. 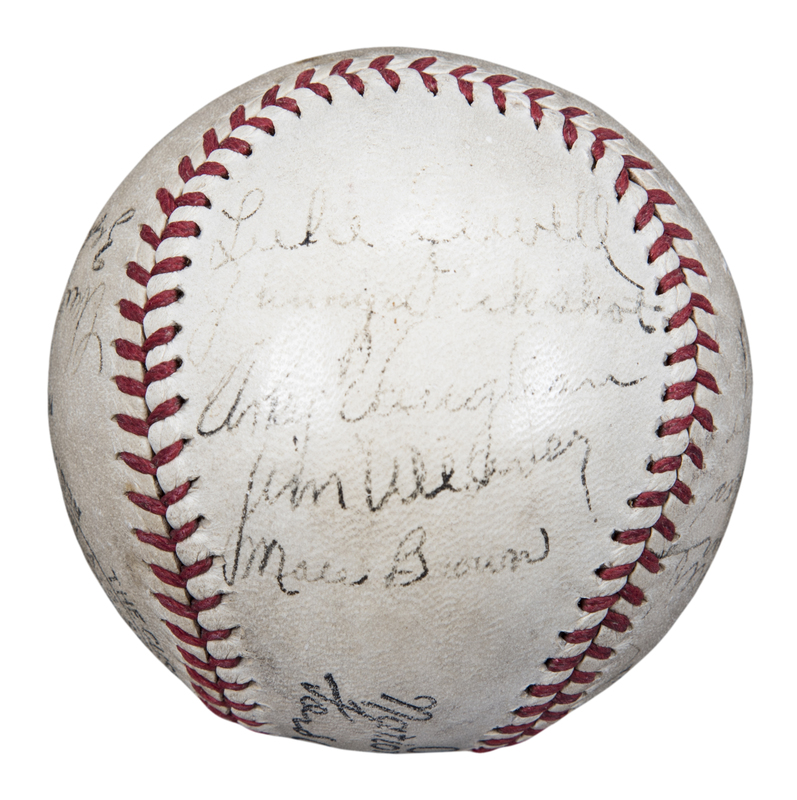 Other signatures include Cy Blanton and Jim Weaver of the Pirates and Red Kress of The White Sox. 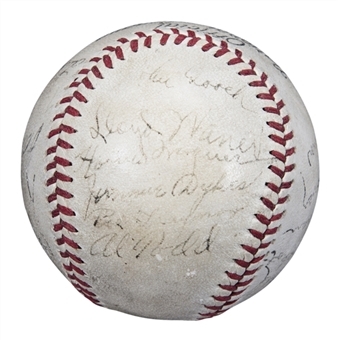 All of the signatures have been written in black steel-tipped pen. 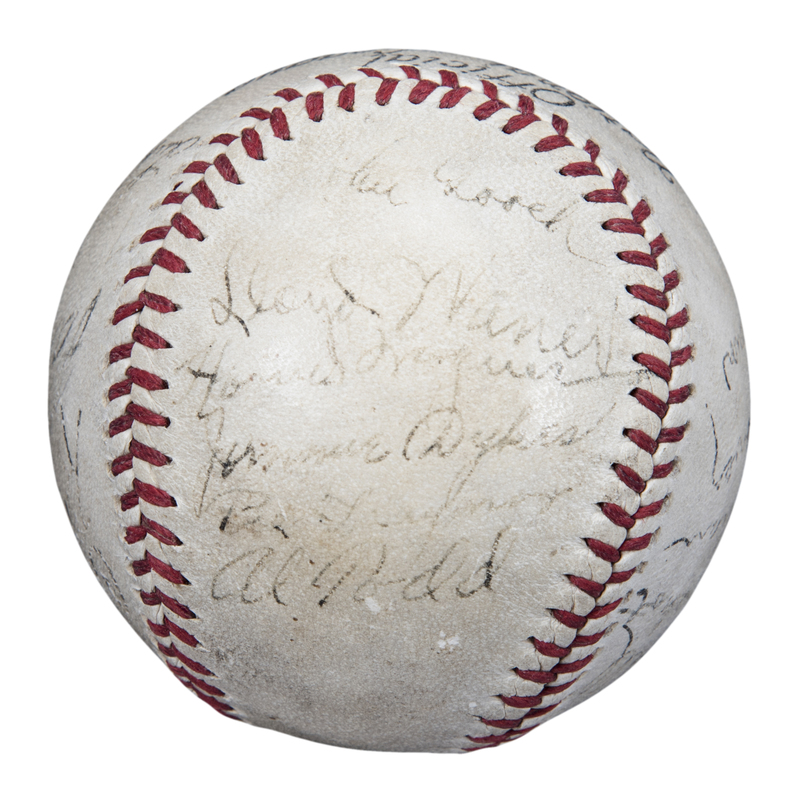 The signatures are light, but still readable and the baseball itself displays minor toning. 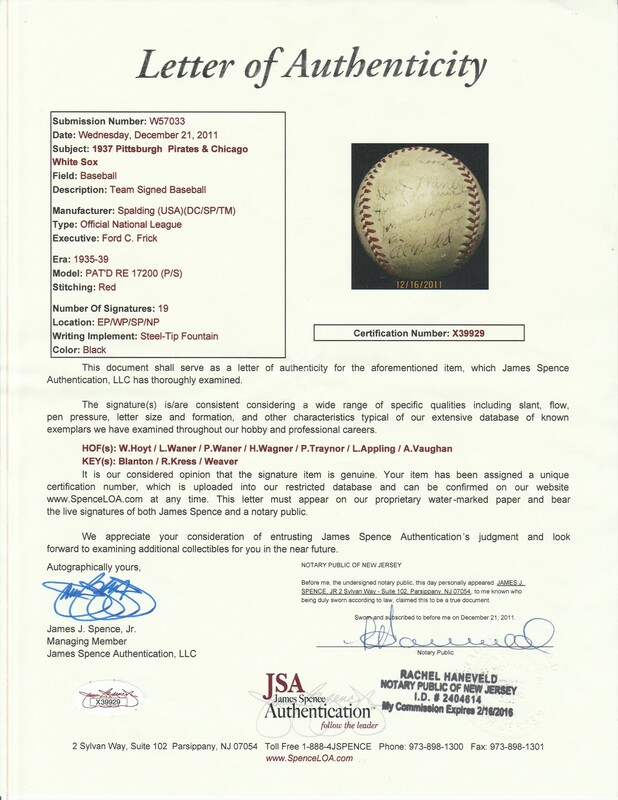 This multi-signed baseball comes with a LOA from JSA (X39929).